Eight Gotalanders and 22 Norwegians on (this) reclaiming/acquisition journey far to the west from Vinland. We had a camp by two (shelters?) one day's journey north from this stone. We were fishing one day. After we came home we found 10 men red with blood and death. Ave Maria. Save from evil. There are 10 men by sea to look after our ships fourteen days journey from this island. Year 1362. 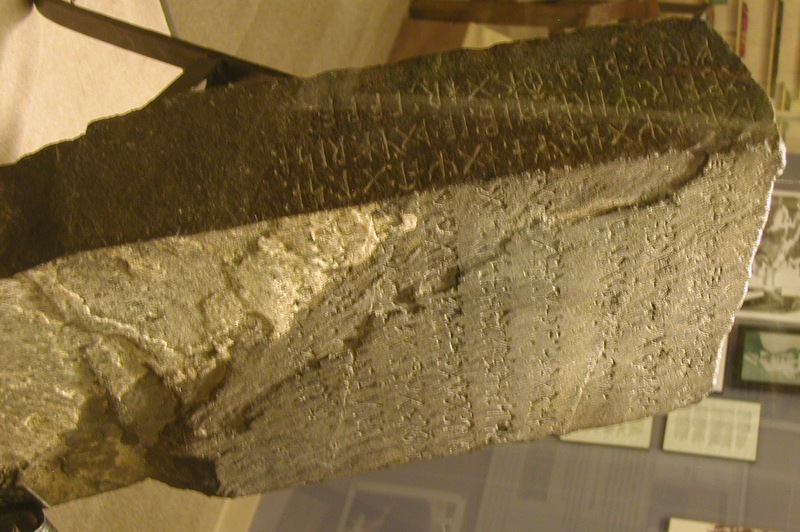 Incription on the Kensington Runestone. In September of 1898, the Kensington Runestone was found near the village of Kensington by Swedish immigrant Olof Ohman and his two sons Olof, Jr., and Edward. 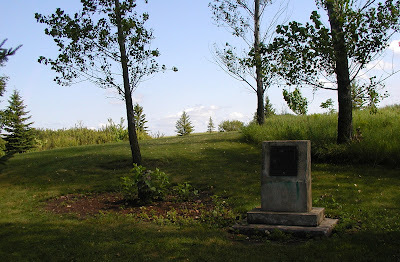 The group had been clearing trees on the end of the family plot when they found the runestone. After cutting the roots of a 25-35 year old aspen, they found a several hundred pound, rectangular stone wrapped within the roots. It was Edward who noticed the inscription on the stone first. The Olof family farm where the runestone was discovered is now a county park call Runestone Park. 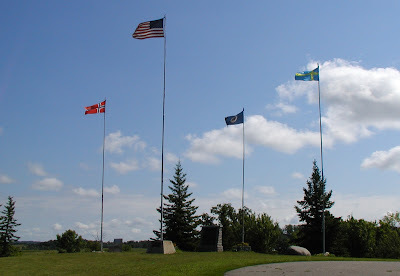 The location were the runestone was found is marked by a small plaque, just downhill from the United States, Minnesota, Swedish and Norwegian flags. 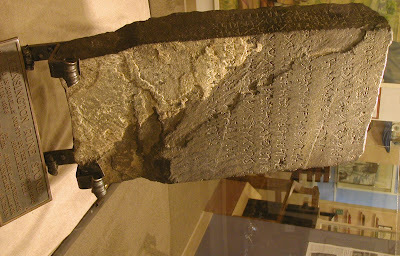 The Runestone is now displayed at the Runestone Museum in Alexandria, Minnesota. The Runestone is a rectangular stone that has been obviously split to be that shape. It is a grey, meta-graywacke glacial erratic. 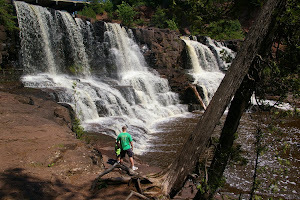 This rock type is commonly found in the Animikie Basin of East-Central Minnesota and is Paleoproterozoic in age (1,800 to 2,100 million years). At the time of the discovery, many scholars immediately announced that the runestone was a hoax. But in 1909, after examining and studying the runestone, Minnesota state geologist, Newton H. Winchell said that "I am convinced that the stone is not a modern forgery....". 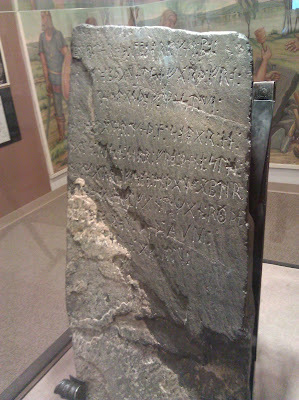 Mineral weathering rates provide some evidence that can be examined on the runestone. Shortly after the discovery, Olof Ohman used a nail to scratch out some of the inscription. Some of the runes were not scratched out. 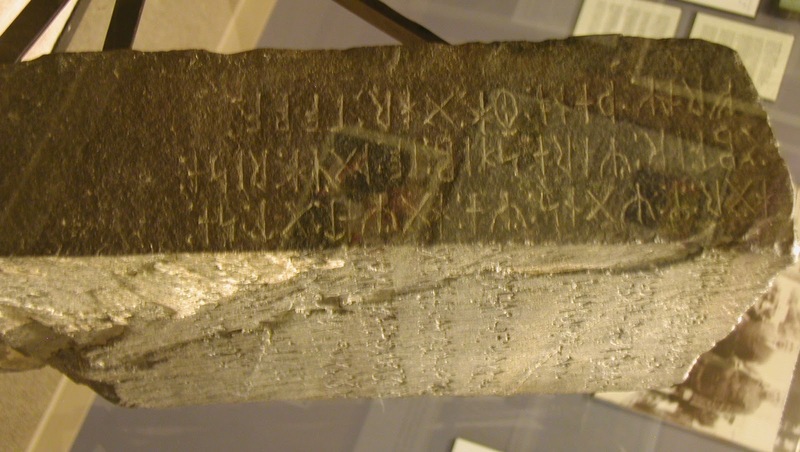 The runes that were not scratched out show extensive weathering, pyrite crystals have completely weathered away leaving iron oxide-coated pits. In comparison to other stones, the weathering of this mineral would have taken more than 23 years, twenty-three years before the stones discovery, Olof Ohman was still living in Sweden. Comparing the weathering rate of biotite mica in the runestone to the rate found in slate tombstones in a similar evironment, the inscription has been weathering for longer than two hundred years. The mica minerals in 200-year-old tombstones have begun to fall away, on the runestone, all the mica minerals on the man-made surfaces have weathered away. 1. The stone is a hoax. 2. 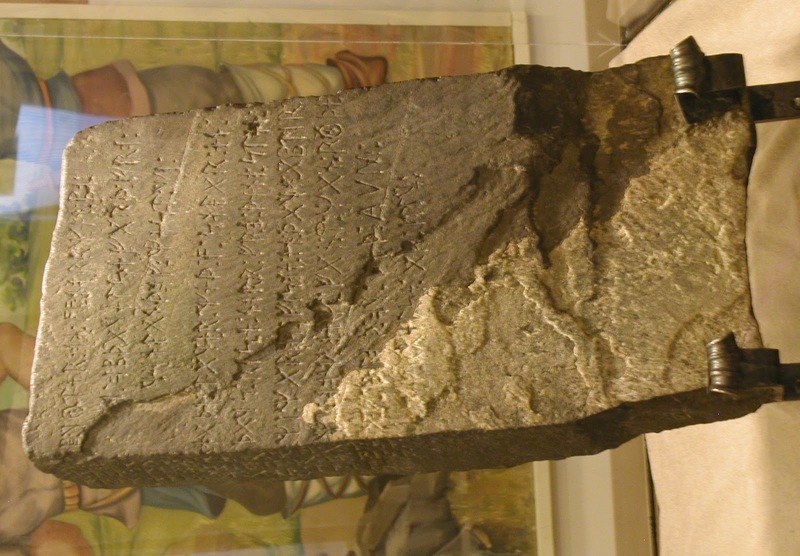 The stone is real (implying that Europeans reached the interior of the North American continent earlier than commonly thought. Two books can be read for differing ideas about the history of the runestone, if it is real. 1. The Kensington Runestone, It's Place in History - this book describes how the stone could have been carved one day's walk from Mille Lacs Lake in Central Minnesota and how the Dakota Tribe was given/then carried the stone to it's eventually buried location. 2. 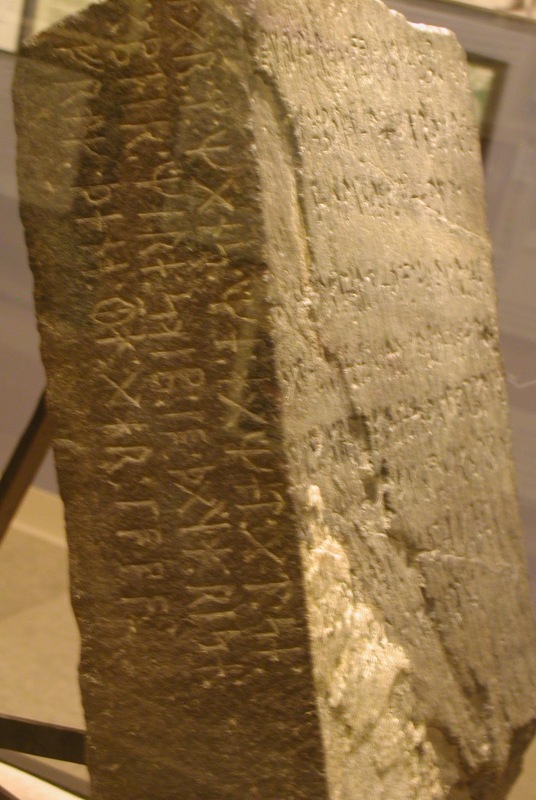 The Kensington Runestone - Compelling New Evidence - this book really lays out the evidence for the stone's authenticity, including the geologic evidence and the linguistic evidence (including ancient Swedish runes that were discovered in the 1900s but are also inscribed on the runestone).